Kelsey was very professional and helpful and supportive. She made herself available based on our schedule and was very informative. I would definitely recommend her as anyone's realtor. She even surprised us at closing With a special gift. She is followed up since the closing with a flag for us to honor our country during the summers patriotic holidays. She also sends a special recipes once a while which are fun. My wife and I moved from out of state, and Kelsey was great in helping us find and secure a new home. She was very patient with us as we looked at several houses all over the Palm Bay and Melbourne areas. Once we dialed in on the house we wanted, she did a wonderful job in getting everything finalized and to closing. I would definitely recommend Kelsey for anyone looking to buy a home in the Palm Bay and Melbourne areas. Amazing experience! She's very knowledgeable and will do anything to work with you with any schedule conflicts. Due to her knowledge about the entire situation she’s able to assist in getting everything happening fast and effectively. She’s always on the go looking for the next home in the searching process. Also her let’s get things done attitude was a difference maker when I had to deal with outside entities. Always kept me informed and up to date on every aspect of buying a home. Couldn’t of asked more from Kelsey. Kelsey was an absolute pleasure to have as our agent. She went above and beyond to help us find the perfect home for us. She is very knowledgeable, and any questions we had, she answered quickly and in terms we could understand. A lot of people try to talk at you, while Kelsey made it her mission to not only help you, but help you understand. My husband and I highly recommend Kels. I highly recommend Kelsey! She helped my husband and I find the perfect house, in a perfect location for us! Finding a house we would love and met all our needs did not take long at all for Kelsey ❤ Very easy to communicate with. Also we came to the closing table with zero out of pocket! If your looking to buy a home get with Kelsey! I had a great experience working with Kelsey Friedrich, she was very patient and easy to work with. She went out of her way to respond to messages and to help find me a home. I would recommend her to everyone looking for a home. Kelsey was a great asset in my home search. I had to find a home that met specific criteria on a limited budget. She listened to my needs and suggested properties that were perfect. Young, energetic and knowledgeable. My husband and I are first-time home buyers and Kelsey helped us understand the whole home-buying process. She was very responsive to any questions we had and helped us find our perfect home! Kelsey is very impressive!! I was looking for a smaller home and we were working with a local builder. The realtor in the new home center was not knowledgeable at all. Every question I asked he had no answer. Kelsey quickly found my answers. Without her help I know I would not have bought my current home. She was more than helpful and if I ever change residence again I will call Kelsey. You can't go wrong with her help and guidance. Kelsey was amazing and got me into every house I wanted to see immediately. The market has been moving so fast and Kelsey was instrumental in getting my now house, under contract hours of seeing it. I can't thank her enough. I'm so pleased with her and my our new house! Kelsey was my agent when looking for our home. She was very helpful and patient with us. Sometimes going back showing us the same house more than once. She finally found us our dream home. I was very impressed with her skills and knowledge of the market. Kelsey is a fantastic agent! She is so attentive and helpful. She made selling our house so easy and quick. She uses so many resources and so professional. Loved working with her! Kelsey was awesome! She went above and beyond for me when I was selling my home recently. She returned phone calls, texts, and emails very promptly and answered all my questions. I would highly recommend Kelsey. Kelsey was my agent during my first home purchase in Oct 2016 and I couldn't be happier with her! She had no problem with showing me numerous houses over a period of months, most of which were quite far from her office, before I found one I liked. I was lucky to have her as my advocate during negotiation with a difficult seller. Even when I was on vacation during a critical point, she fought for me and made excellent decisions while keeping me in the loop. Ultimately I saved over $10,000, plus seller renovations worth thousands more, in addition to a sizable seller credit for additional work. She absolutely works just as hard for her sellers. If you want more money in your pocket CALL KELSEY! Kelsey is AWESOME!! We first used her services to rent. She was very helpful and patient. She was the only realtor who would return calls and actually help us ! We did not forget her and when we were finally ready to buy, called her up and she got right to work on finding us houses in our price range and location. Again, she was very patient, very helpful, and very knowledgeable. Kelsey answered all our questions, connected us with al the people we needed, and always worked hard to make our dream come true!! You CANNOT go wrong working with Kelsey...she is the BEST!! Kelsey made our buying and selling process so easy! We placed our home for sale on a Saturday morning and it was off the market and under contract by the end of the next day!! She was always easily accessible and was always in constant communication with us throughout the whole process. Kelsey was always available for questions or for just calming my nerves of the whole buying process. She was prompt, courteous and professional. 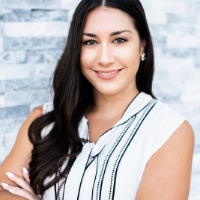 I would not hesitate to use Kelsey again for my real estate needs, or recommend her to others. Kelsey is an awesome realtor! Very attentive to your wants and needs and always tries to find time to help in any way she can! I bought my home through her 3 years ago and she still came by this Memorial Day and put a flag in my yard! Super sweet! I would definitely recommend her and would use her again myself if needed! Kelsey was so helpful finding exactly what we wanted in our price range. Every tiny issue that came up Kelsey had an answer or solution for us right away. She explained so much and helped the buying process so much easier on us. She’s very knowledgeable of the market and how things work. HIGHLY RECOMMENDED. Thank you again Kelsey for everything. We were looking for a new home with a garage and less bedrooms to downsize after kids all left home we found one we wanted,Kelsey was awesome from start to finish she had a great team to refer as loan firm and helped us every step of the way till we got our home of our dreams. Then she worked to help us sell our home so not having 2 house payments, she did it our home sold in 4 days after closing on this one we close on Friday on our other home, if you are buying or selling THIS IS THE PERSON KELSEY TO GET A HOLD OF SHE IS AWESOME AT HER JOB AND A VERY SWEET YOUNG LADY SHE WILL HELP YOU WITH YOUR EVERY NEED. Kelsey was wonderful to work with ... Very knowledgeable and friendly... Did everything she said and more ... Sold my home in 1 day ... Took care of everything needed so it went seem less ... Highly recommend by me . My sisters and I so grateful we came across Kelsey, and then bought a home. My sisters called the apartments I was renting a rat-infested drug infested crime infested hellhole. I was simply used to it, after several years there. I died and went to Heaven! Kelsey is awesome!!!! She had our house sold in 2 days!!! Always had time to answer our questions....and always went above and beyond to help us... We had to leave out of state when our house went on the market....and this amazing woman handle everything for us while we were gone!!!! I highly recommend her!!!!! My husband and I were first time home buyers; on top of that we are newly weds ans pregnant with our first child...Kelsey made the purchse of our 1st home easy and stress-free! I would recommend Kelsey a million times over! Kelsey is above and beyond amazing me and my husband just purchased our new home and Kelsey was there for us every step of the way in the house buying process anytime we had a question day or night . she went out of her way and we truly have gained a amazing realtor and friend... we will be referring Kelsey to everyone we know that is looking to sell their home or to buy. I worked with Kelsey not to long ago and she made what would have been an exhausting process pretty straight forward. I'm not only pleased with the home we found but it was amazing to work with someone that was just as invested in my family's purchase as I was. Cannot say enough great things! "Kelsey Friedrich is great! Honest, and easy to work with! She helped my husband and I find our first home at a killer price, and $0 at the closing table!! in a nice locaton! If your looking to buy or ... more "
"My husband and I are first-time home buyers and Kelsey helped us understand the whole home-buying process. She was very responsive to any questions we had and helped us find our perfect home! more "
"Kelsey is a amazing realtor my husband and i purchased our first home through the new home owners program and Kelsey was there every step of the way. Especially if your new at home searching Kelsey is ... more "